In an effort to target puppy mills, backyard breeders, and to reduce the vast number of animals euthanized in Atlanta shelters every year, Mayor Keisha Lance Bottoms signed legislation banning retail store sales of puppies and kittens. A city council committee unanimously voted to pass the bill last October, allowing for a full council vote in November, when it was officially passed into law. 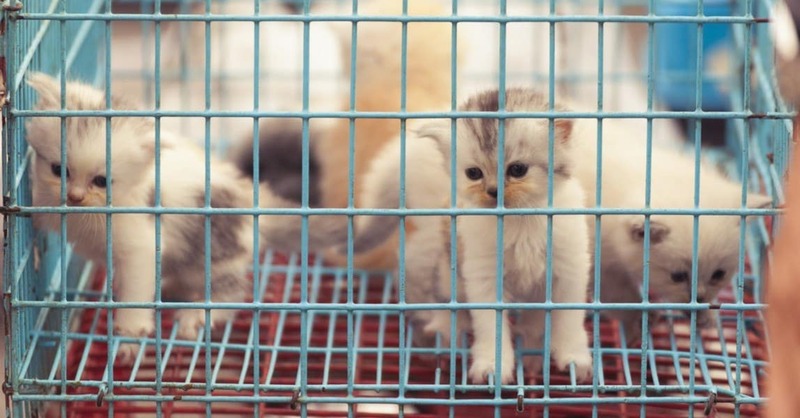 The bill will not impact licensed breeders, only retail stores selling puppies and kittens. The bill, however, was mostly preventative, as there are currently no known pet stores selling dogs or cats in city limits. This prevents those types of businesses from opening and giving business to puppy mills. Would you support similar legislation in your own city or state? Weigh in with a comment below! YES!!! I have had pets mostly dogs and cats but horses, pigs and birds my entire life- Because it BREAKS my heart to see any animal neglected, abused and discarded and discounted in society. I am happy many states including mine have now made animal abuse a felony. There is NO reason for Puppy Mills and breeders most of whom have zero experience should be able to repeatedly breed dogs normally risking their health for profit. It’s high time society shifts the perception of getting puppies from retail outlets- particurally for small children many of which end up in shelters due to fact that small children and puppies don’t really mix!